Even if the Standard Model is right and an equal amount of matter and anti-matter was produced at the Big Bang, it still does not explain why the matter and anti-matter did not exterminate each other with a huge flash of energy. Why a huge amount of energy was first triggered to be absorbed to create matter and anti-matter at the Big Bang is brushed aside as being at a singularity, before the laws of physics existed and maybe before even time existed. CERN has a new press release showing that apart from sign – as the standard model requires – no difference can be detected between a proton and an antiproton. It is not the new measurements which say the universe should not exist. It is in fact the standard model which says that the universe should not exist. Maybe the standard model has to be modified. Scientists are still in search of a difference between protons and antiprotons which would help to potentially explain the existence of matter in our universe. However, physicists in the BASE collaboration at the CERN research center have been able to measure the magnetic force of antiprotons with almost unbelievable precision. Nevertheless, the data do not provide any information about how matter formed in the early universe as particles and antiparticles would have had to completely destroy one another. The most recent BASE measurements revealed instead a large overlap between protons and antiprotons, thus confirming the Standard Model of particle physics. Around the world, scientists are using a variety of methods to find some difference, regardless of how small. The matter-antimatter imbalance in the universe is one of the hot topics of modern physics. …….. The BASE collaboration published high-precision measurements of the antiproton g-factor back in January 2017 but the current ones are far more precise. The current high-precision measurement determined the g-factor down to nine significant digits. This is the equivalent of measuring the circumference of the earth to a precision of four centimeters. The value of 2.7928473441(42) is 350 times more precise than the results published in January. “This tremenduous increase in such a short period of time was only possible thanks to completely new methods,” said Ulmer. 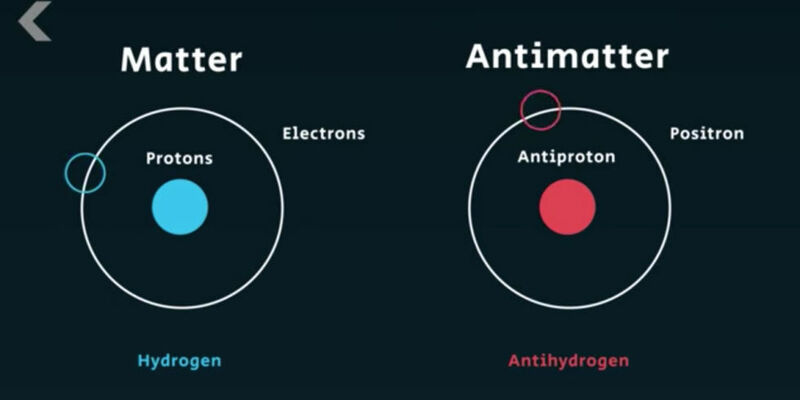 The process involved scientists using two antiprotons for the first time and analyzing them with two Penning traps. We have to bear in mind that CERN has a massive confirmation bias. Their primary reason for existence is to confirm the standard model. This entry was posted on October 28, 2017 at 1:19 pm and is filed under Physics. You can follow any responses to this entry through the RSS 2.0 feed. Both comments and pings are currently closed.